Angrily lashing out at the bloc’s treatment of Ankara, Erdoğan said Turkey could hold a referendum along the lines of the plebescite in Britain, where voters are deciding Thursday whether to stay in the European Union or leave. 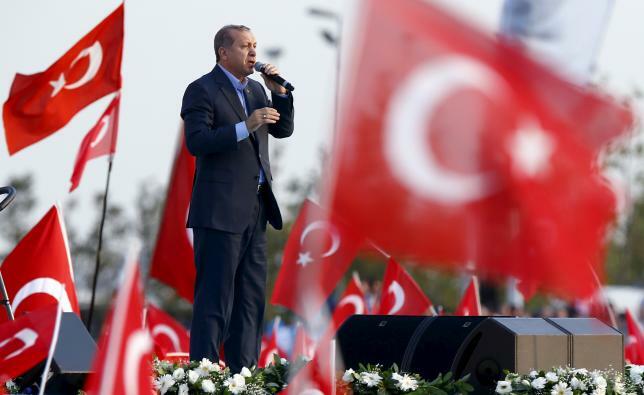 “We can stand up and ask the people just like the British are doing,” Erdoğan said late Wednesday (22 June) at a speech in Istanbul, quoted by the state-run Anadolu news agency. “We would ask ‘Do we continue the negotiations with the European Union or do we end it?’ If the people say ‘continue’, then we would carry on,” Erdoğan said. He had previously insisted on repeated occasions that full EU membership was Turkey’s strategic aim. 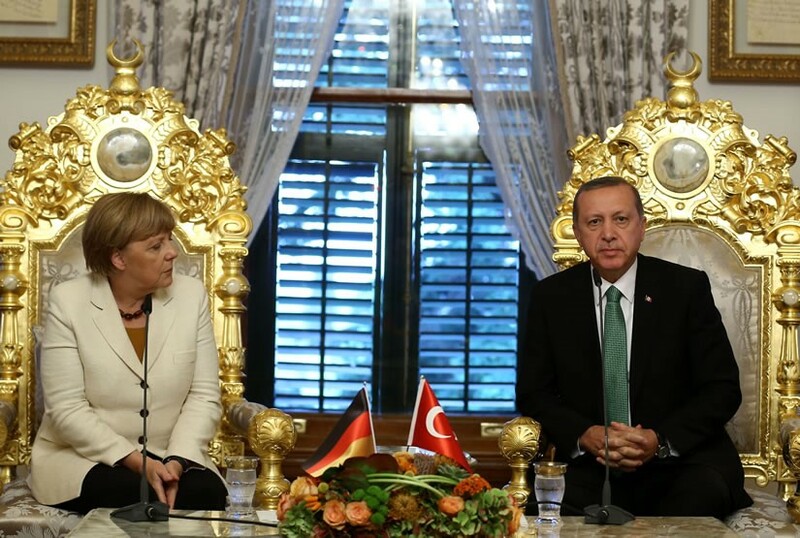 Marc Pierini, visiting scholar at Carnegie Europe, said there was “total incompatibility” with EU accession requirements at a time when Turkey was driving for a presidential system under Erdoğan and clamping down on dissent in the media and civil society. In their effort to stem the refugee crisis, the EU has betrayed Turkish journalists and ordinary citizens, who have courageously stood up to the authoritarian plans of the government, journalistic organisations said yesterday (15 December). Polls in Turkey have shown that less than half of Turks now support EU membership, falling from a clear majority a decade ago. A landmark deal agreed in March between Turkey and the European Union was expected to calm tensions and give new momentum to the Turkish membership bid. But the EU is insisting it cannot grant Turkey the key sweetener of visa-free travel to the passport-free Schengen zone if it does not narrow the scope of its anti-terror laws, something Ankara has refused to do. Erdoğan said while Turkey was hosting three million refugees from the Syria and Iraq conflicts, Europe had been rattled by the prospect of giving sanctuary to any migrants. Turkish President Tayyip Erdo?an mocked European Union overtures for help with its migration crisis during a long-awaited visit to Brussels on Monday (5 October) that in the end was partly overshadowed by Russia’s violation of Turkish airspace near Syria. “You are not keeping your promise. This is your (Europe’s) ugly face. When Erdoğan exposes your ugly face, you go crazy,” he said. “And that is why you are making efforts on ‘how do we get rid of Erdoğan’,” he said, accusing Europe of sympathising with Kurdish militants battling the Turkish state. Despite Erdoğan’s anger, Turkey and the European Union will on 30 June hold new talks to open a fresh negotiating chapter with Ankara on finance and budget affairs in its membership bid, Foreign Minister Mevlüt Çavuşoğlu said. Since 2005, the EU has opened only 15 of the 35 chapters required to join the bloc. But Çavuşoğlu insisted that Erdoğan’s referendum comments were “not blackmail or a threat”. “We are also under great pressure from our people who ask us what we are doing in a place where there is so much anti-Turkish sentiment,” he told reporters in Ankara. In 1963 Ankara and Brussels for the first time inked an association agreement stating that Turkey would aim to be a member of the bloc. After applying in 1987, Turkey began EU accession talks in 2005 but its membership bid has been held up by an array of problems. 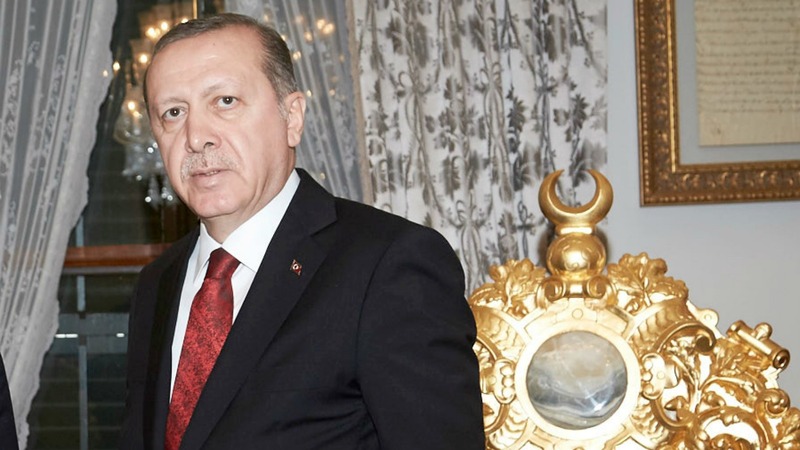 Revealing an incident which until now he had kept private, Erdoğan claimed a former French foreign minister told him Turkey’s efforts to join the EU were “in vain… because we are Muslims”. He did not reveal the identity of the minister. With the question of Turkey’s possible membership raised in Britain’s bitterly-fought referendum, Ankara has been angered by comments from London suggesting that it has no realistic chance of joining the bloc in the medium term. During the campaign, Prime Minister David Cameron said Turkish membership was not “remotely on the cards” and may not happen until the year 3,000. The European Union will lose Turkey if it doesn’t grant it membership by 2023, Turkish Prime Minister Recep Tayyip Erdo?an said on Tuesday (30 October). Who in their right mind would want to join the EU?